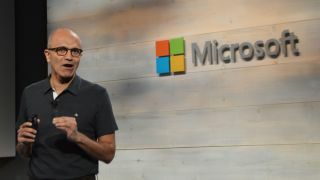 Microsoft has started its TechEd Europe confereence with a bang, unveiling a number of new features for Azure and Office 365. The former gets three new features: Azure Operational Insights (preview available in November) which allows businesses to turn big data from the cloud into actionable insights. Azure Batch, meanwhile, allows customers to quickly process complex jobs across thousands of cores, Azure Automation, which automates repetitive manual processes across Azure and third-party environments. Office 365 gets a number of REST-based open APIs for mail, files, calendar and contacts across all major OSes to leverage over 400PB of Office 365 content (that's about the total capacity of 100,000 4TB hard disk drives), new SDKs for native app development and an Office 365 App launcher that "provides a single, customizable place in Office 365 where people can access their favorite apps". But that's not all: Office 365 will also get Microsoft intune updates complate with Mobile Device Management capabilities and extensive Data Loss Prevention technology. Other Microsoft security enhancements include support for multiple NICs, new network security groups and Microsoft Anti-Malware for VM and Cloud Services, a free service for Azure clients.